Was a 5 member Korean pop girl group under Doo Republic. They debuted in July 2014 as a 3-member unit with "Payday" before making their official debut as a five-piece on September 5, 2014. Their debut single was the digital single "But Go". A.KOR stands for Top of Korea. 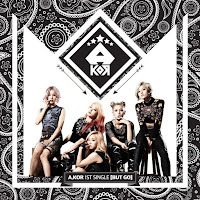 In June 2015, they debuted unit A.KOR Black with members Min Ju and Ke Mi. Since the group has been inactive since 2016 it's safe to assume that they have unofficially disbanded.